There have been rumors, hopes, and wishes that we’d finally get a third-installment of Guillermo del Toro’s Hellboy series. 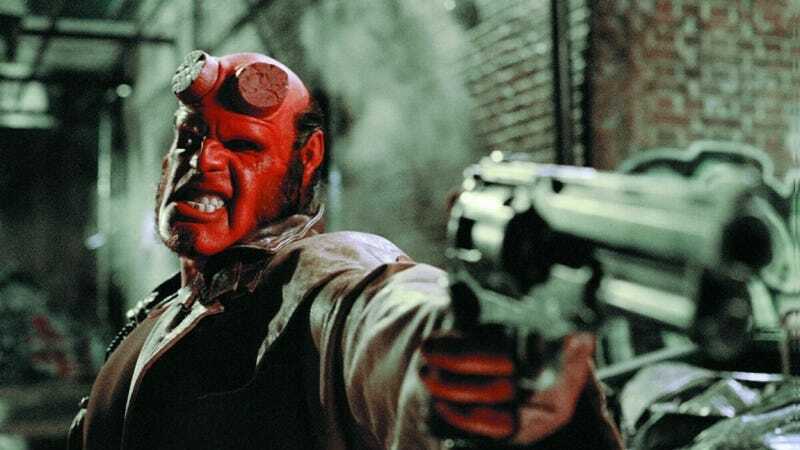 But Ron Perlman, the actor who brought Hellboy to life, says the series is most likely dead. Perlman was asked about Hellboy 3 during a New York Comic-Con roundtable for Trollhunters, the animated Netflix series that Perlman and del Toro collaborated on. Sadly, Perlman dashed our hopes by basically admitting that it’s so unlikely the pair don’t even bring it up. “We don’t talk about that anymore,” Perlman said. Perlman’s been trying to get Hellboy 3 on the table ever since, really, the second film came out in 2008. Last year, he said on a podcast that he and del Toro were talking about continuing the franchise, even though he felt he was “done with the character.” The last we heard from Hellboy comic book creator Mike Mignola in May, there were rumblings of a movie or TV series, but he didn’t fully believe them. For some reason, it’s listed as “announced” on del Toro’s IMDB page, but that site’s not exactly reliable. Perlman said the movie is on the shelf because he and del Toro are too busy. He added that there’s maybe a tiny baby chance it could happen in the future, but right now they’re “happy discovering new worlds to conquer.”Not only does this include Trollhunters, but there’s also a rumor Perlman will reprise his role as Hannibal Chau in Pacific Rim: Maelstrom, which is currently in pre-production.